If you’ve ever thought about taking a summer course but hate the idea of staring at the sunshine from behind a classroom window, there’s an exciting opportunity for you next year. From May 29 to June 12, Kwantlen Polytechnic University will be taking students to Cuba as part of an interdisciplinary field school. This is a chance for students to salsa dance, soak up the sun, and immerse themselves in Cuban culture and history while earning six credits towards their degree. “The theme of the Cuba field school is music and culture, and we use that as a window to investigating broader aspects of Cuban society,” says Daniel Tones, the leader of the trip and teacher of the accompanying ARTS3100 course. Most of the field school will be spent in Havana, with an additional two days in Cienfuegos and one day in Trinidad. Students will attend multiple concerts, lectures from prominent Cuban academics, explore a number of significant historical and cultural sites, and visit two small-scale craft agriculture operations. There will also be music, dance, and singing workshops throughout the trip, all of which will be geared towards beginners. “We need a way to make contact with people to begin understanding how Cuban society is structured [and] what are some of the passions of its people, and music and culture are good ways to do that,” says Tones. Most of the days will be filled with scheduled activities, but students will have evenings free to do their own exploring as well. As a trained percussionist who teaches in the music department at KPU, Tones has long been interested in the music and culture of Cuba. Tones says he has been toying with the idea of an educational trip to Cuba for nearly seven years, the last two of which were spent organizing the field school. After the first trip to Cuba is done, he hopes to run the program every two years, with specialized cohorts of 8 to 10 students from particular departments attending subsequent trips. The in-class component of the field school, ARTS3100, will begin three weeks prior to the trip’s beginning. 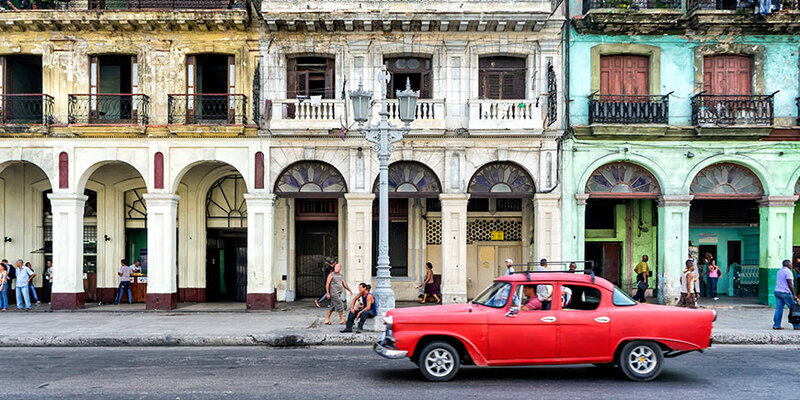 Students will trace the history of the African diaspora within Cuba, learn about European colonial influence, and study the political and economic climate in the country through the 20th and 21st centuries. They will then form groups that will present a research proposal and —once they return—a “capstone project” in which they will present their findings to the class in a creative form of their choosing. “The interdisciplinary nature of the field school invites investigation from a number of different vantage points,” says Tones. The trip costs $3,450 including round trip flights, 14 nights of accommodation, transportation, daily breakfast and dinner, tourist visas, airport taxes, and participation fees for all scheduled activities. Like traditional KPU classes, the field school and ARTS3100 course have a capacity of 35 students. It requires a minimum of 15 students for the program to run. KPU International will be accepting applications for the field school from Dec. 1 to Jan. 31. Registration for summer courses begins on March 5.